Without further ado, I am turning things over to Brandon. Happy cooking and happy weekend! Below is the first of what has ended up being a three-part contribution on cooking with green tea! Being a bit of a tea connoisseur (but by no means as obsessed as Lara! 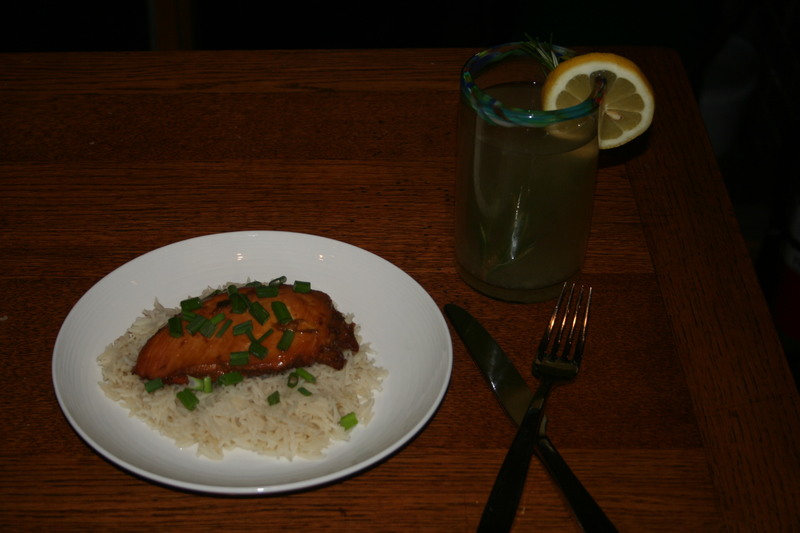 ), I love to find ways to incorporate tea into my every day cooking. Although green tea is a gentle tea, I highly recommend allowing your tea to steep longer than you normally would to ensure that its flavour comes through in the sauce and the chicken. The stronger the tea, the better for these recipes! For these recipes, I used a combination of sencha, jasmine, and/or matcha green teas but almost any green tea will do! 4 tbsp honey, agave nectar, maple syrup, birch syrup, etc. 1. Bring 1 cup of water to a boil and steep 1 to 2 bags of green tea for at least ten minutes. 2. In a bowl, combine 1 tbsp honey (or chosen sweetener), the juice of one lemon, and the brewed green tea. 3. Place the chicken breasts and green tea mixture in a sealed plastic bag (like a ziplock bag) and let the meat marinate for 1 to 24 hours. The longer it marinates, the more tea it will absorb! 4. When you are ready to begin cooking, heat a saucepan over medium heat. 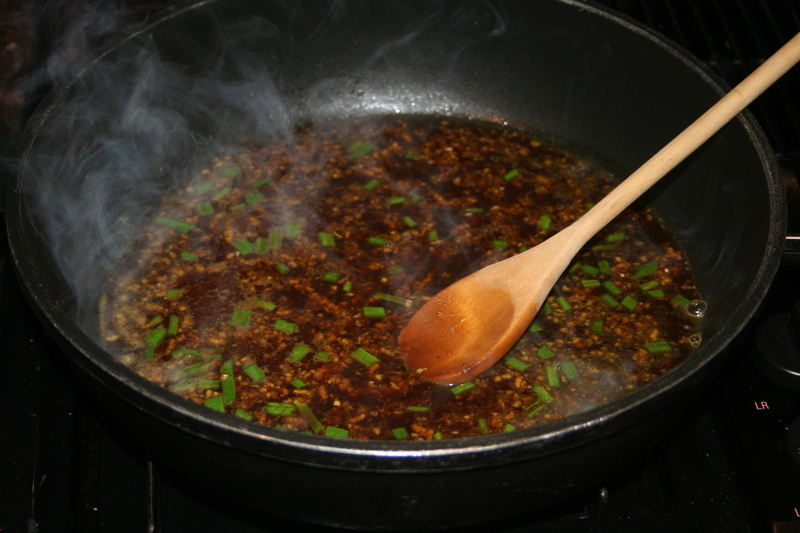 Combine the remaining tea, honey, sesame oil, ponzu sauce, ginger, garlic, and green onions. Bring it all to a boil and then lower the heat to bring the sauce to a simmer. Allow it to reduce uncovered until there is less than one cup of teriyaki sauce remaining. The sauce during the simmering process. 5. 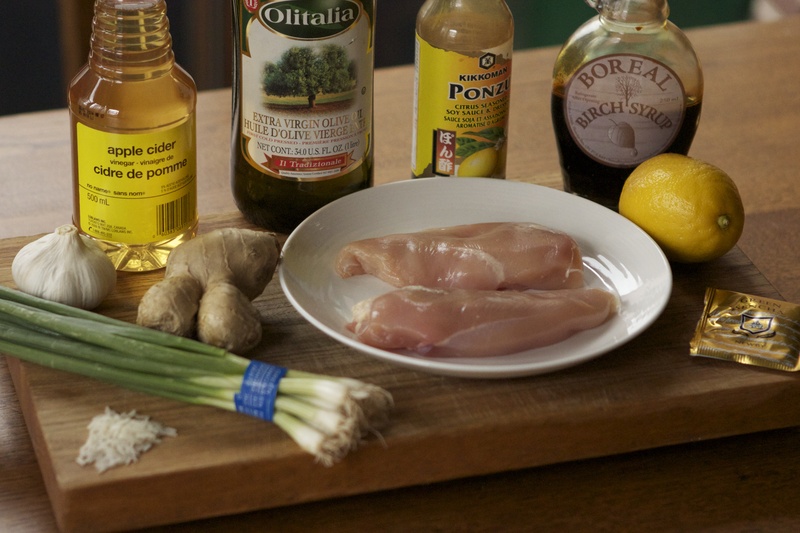 Add the chicken to the sauce and cook each side of the breast for 4-8 minutes, depending on the thickness of the chicken, until it is fully cooked. Serve over Green Tea Rice. Unfortunately this picture is a bit dark, but here is the final product! Enjoy! This entry was posted in Chicken, Dairy Free, Entrées, Foodie Friend Friday and tagged chicken, cooking with tea, dairy free, garlic, ginger, green tea, japanese, lemon, marinated chicken, matcha, sesame oil, teriyaki by laratboulos. Bookmark the permalink.